Most Muslim runners will find that running or training during the month of Ramadan to be a challenge. 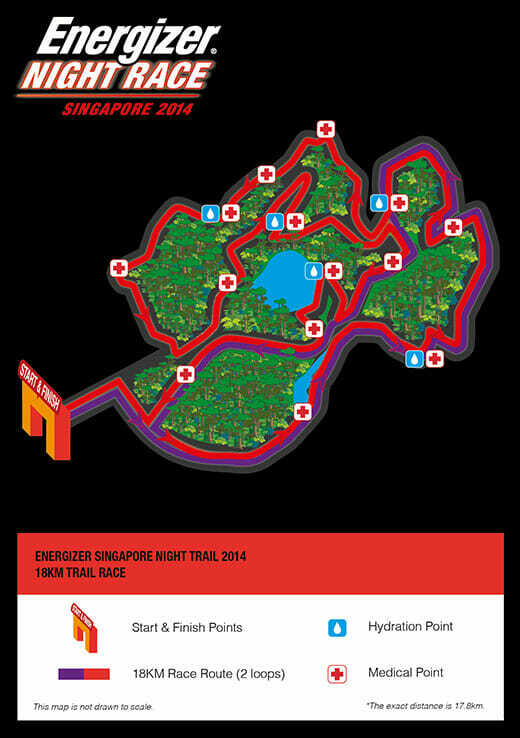 Taking part in a trail race during that period magnifies the effort even further. 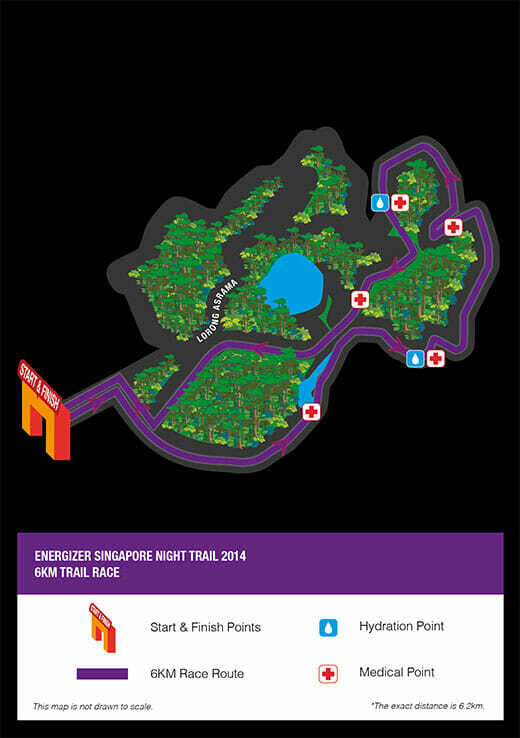 The Energizer Singapore Night Trail (or ESNT) is probably one of the few trail races in Singapore to be held at nigh. 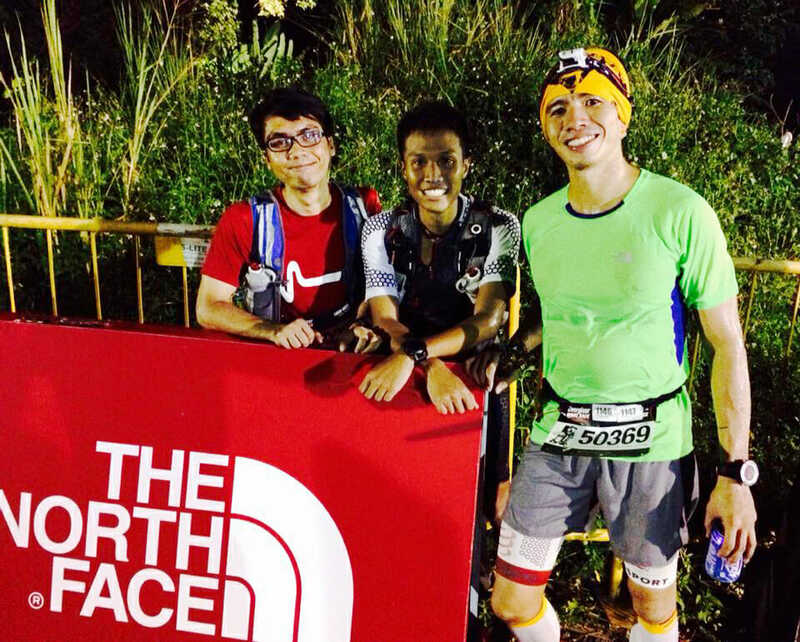 I would say few because there are others like the The North Face 100 Singapore (the 100km route starts at night), as well as the lesser known (to the general public at least) ultra-marathons such as the Peak to Peak Ultra or the Twilight Ultra Challenge. It is also probably the only one that takes place at Lorong Asrama, a venue that’s usually restricted to the public by the SAF. 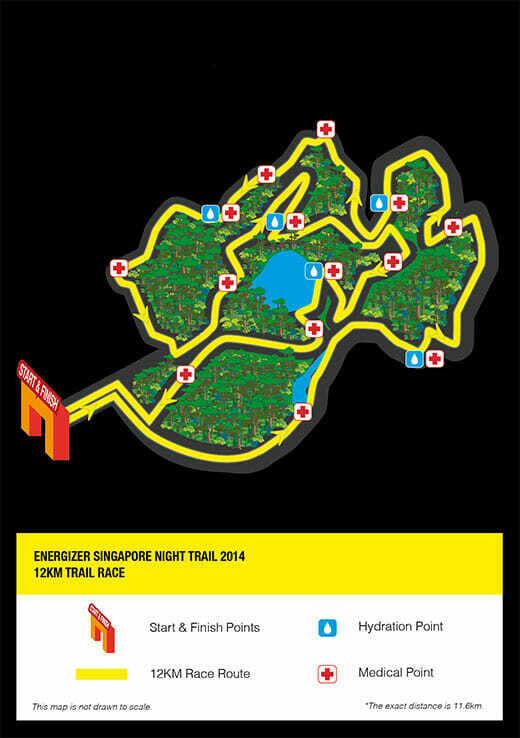 After having raced the ESNT twice in 2012 & 2013 in the 12km category, I figured it was time to race in the 18km category. My analogy of it would be like I went from regular marathons to ultra-marathons. 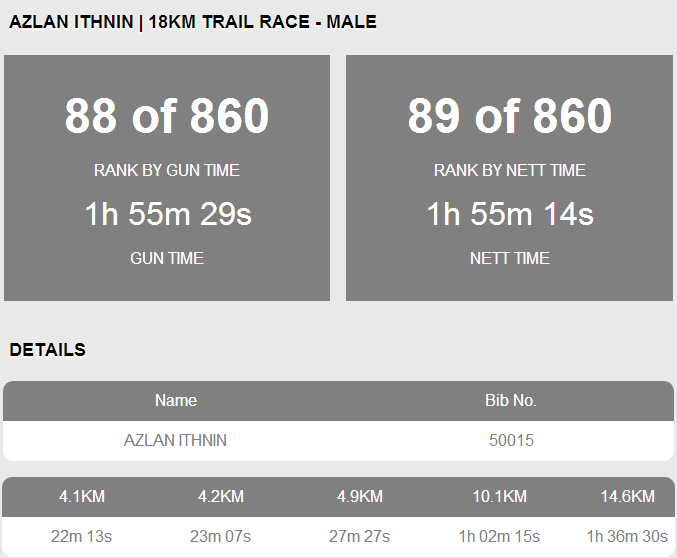 But when I registered, I did not realize that the race took place during the last week of the month of Ramadan (fasting month). Based on personal experience, fasting month is a tough time to train, as it meant that running sessions had to be pushed late into the night (9.30pm onwards). However I was quite determined to continue training and with a little bit of help my training buddy, I was able to log about 100km during the fasting month. As mentioned earlier, race preparation was slightly different as most of my training runs were held in the later part of the night. Most of it would start about 2.5 to 3 hours after breaking fast, which is just about enough time for the food to leave the stomach. Race gear wise, I chose to run with my old, classic and but still working Salomon XT Advanced Skin 5 S-Lab vest. In recent times, I’ve dropped the hydration bladder in favour of just using bottles. For ESNT, I carried only a bottle of Acquarius and a sachet of Weider Jelly. 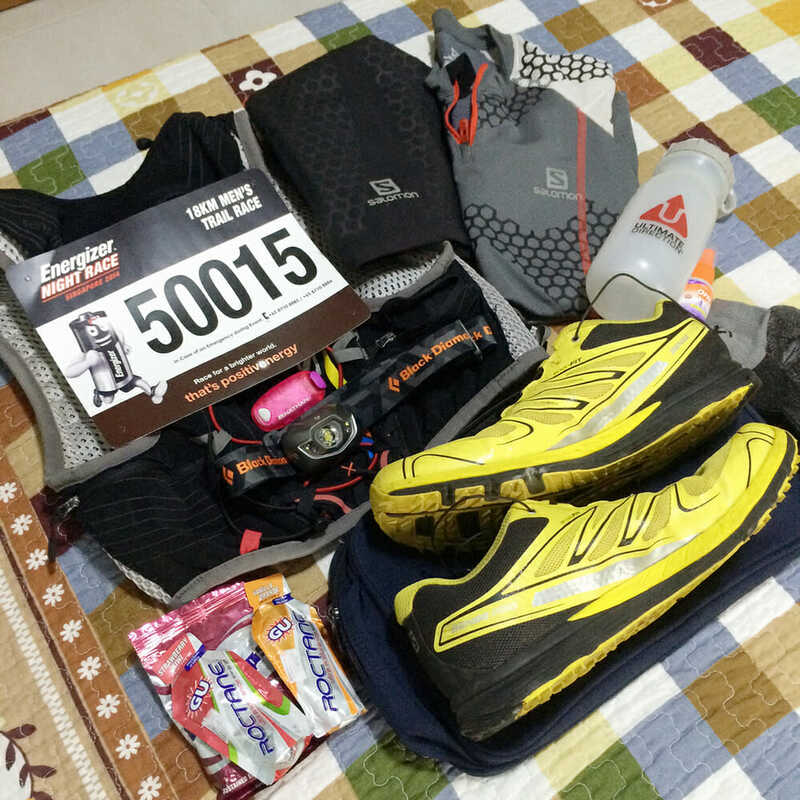 The rest of the items in my bag would be a spare shirt, phone, Ez-link, cash and the mandatory items like the race bib and headlamp (2013-era Black Diamond Spot, 90 lumens). On race day, the both of us (Andy and myself) took the train down to Woodlands before taking the shuttle bus to the race venue. Nothing has changed from the previous years and the wait times were quite short. Upon arrival at the race venue, we headed straight to the race pen as we wanted to break fast quickly when the time came, start the race and finish it as quickly as we could before getting dinner. We managed to bump into some of the Singaporeans who took part in the SAC this year too. 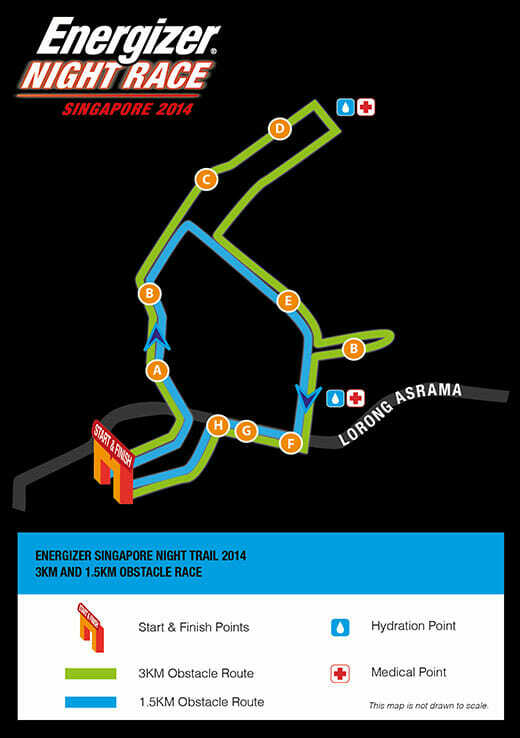 At 7.30pm, the race started and I was well on my way. I started feeling a little drained on the second loop of the course, a clear explanation would be that I wasn’t fueled enough for the race; my Weider Jelly had run out and I only had electrolytes left. Andy would later catch up with me after the segment where everyone had to climb up a steep hill with ropes. I pushed as hard as I can for the rest of the race, but I couldn’t sprint to the finish line as the I was experiencing cramps on my right calf that was pulsating quite badly. Official results are out as well, click here to find yours. A new personal course record, but definitely can be improved.